We are a partner of Ford. 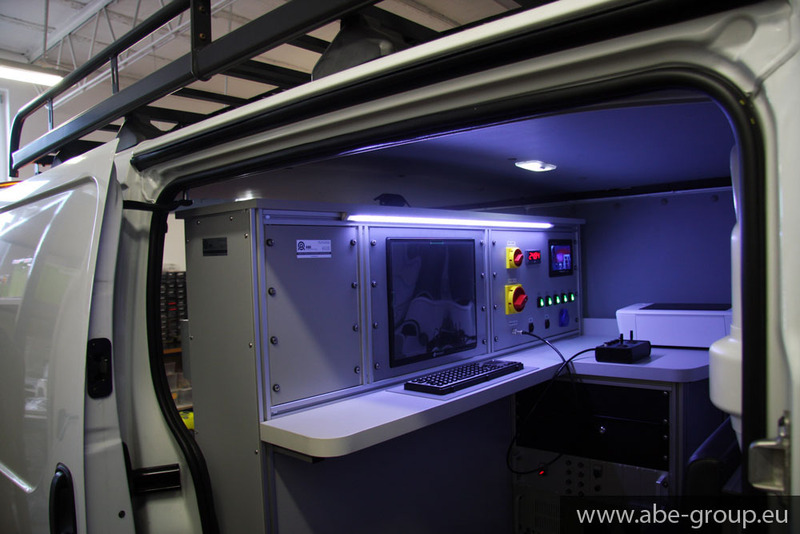 We mount our CTTV inspection system kits on cargo vans, for example Ford Transit Van. 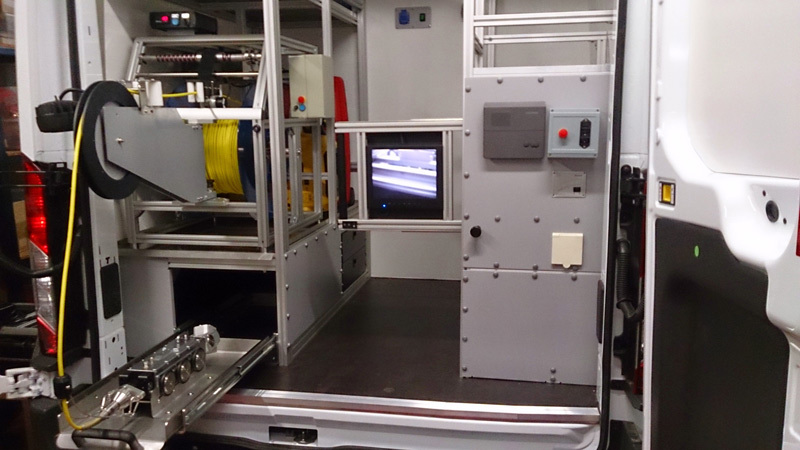 In our vehicle conversions, we separate two zones: the operator section and the camera tractor operation section. In order to increase the operator’s comfort, the section is equipped with air conditioning and heating. In winter, there is a possibility to heat the camera operation section. furniture – desk, seat with backrest, drawers. The set is powered in the silence system, depending on the configuration, the set of gel batteries together with inverters enable continuous operation for 16 up to 30 hours. Charging is done automatically by connecting to the external power source. Additionally, the set is equipped with the generator (portable) with a capacity of about 3kW, sufficient to support the set at the time of charging. The accessory kit also includes convenient to use pressure washer for washing cameras after the end of the inspection. The washer has a 40 litre tank with digital level indicator. At the rear of the vehicle there are external halogens enabling work at night. Reversing camera allows the vehicle to drive precisely onto the manhole.